Tired of that old plain look or want to change the color? Countertop refinishing saves you 50% or more over replacement. 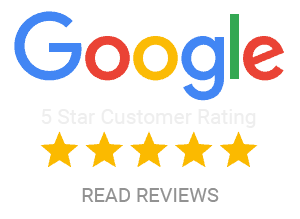 Equally important is that you get to avoid the demolition mess that is associated with countertop replacement and the days waiting for the new countertop installation. 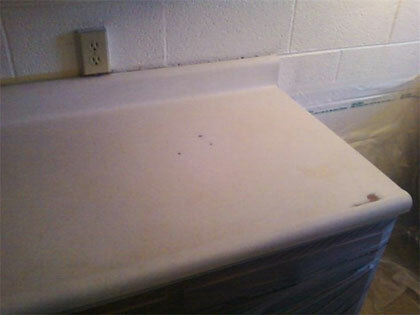 A refinished countertop can usually be returned to light duty within 24 - 36 hours. You’ll have the kitchen you want in 1-2 days, not weeks. A refinished countertop is durable and can extend the useful life of your counters for 10-15 years with basic care and maintenance. You should consider our Granite Imitation, StoneFleck! This form allows you to keep your existing Counter-Top or Vanity, Let JRS Resurfacing reglaze your countertops and make it look totally different. We make repairs, then resurface it with a durable long lasting Finish. Why Should I Invest In Resurfaced Countertops? In todays economy, why spend thousands on Granite Counter-Top when You can keep your existing Counter-Top and have it look like Granite for between $400 and $850! We take pride in preparing your old countertop and then resurfacing it with a whole new stone look. We have approx 20 colors to choose from and 3 sheen levels as well, Satin, Semi-Gloss and High Gloss! 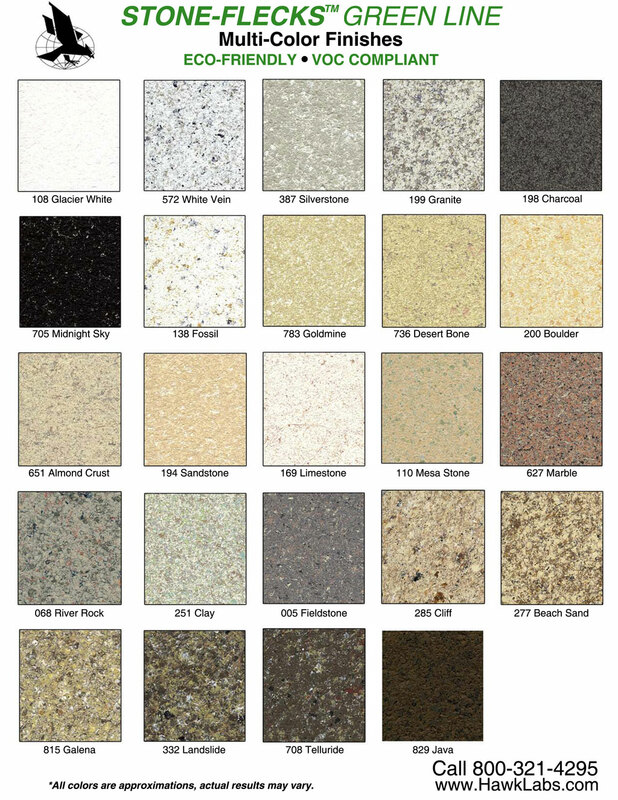 Our Granite Imitation Counter-Top Coating is very durable, easy to maintain and most Counter-Tops can be resurfaced in a Day! Bad areas can be repaired, Seams that hold moisture can be done away with so it looks like one piece. Acrylic Vanities in Bathrooms can also be resurfaced to create a two-tone for a more elaborate look! 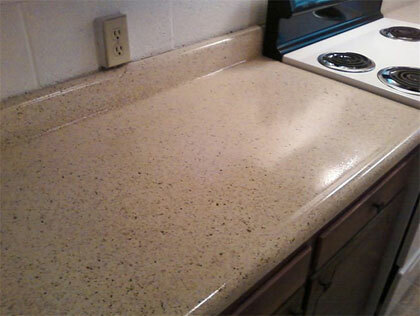 Stone-Fleck on resurfaced Counter-Tops can also be compounded or waxed years from now like you are maintaining a Car. If you happen to damage your Counter-Top we can repair and resurface just that area without having to resurface the entire Counter-Top!